Ring in 2018 with Year of the Dog collectibles from Starbucks! Your luck starts where the pups are at so make sure to bring these home the next time you visit the coffee shop. 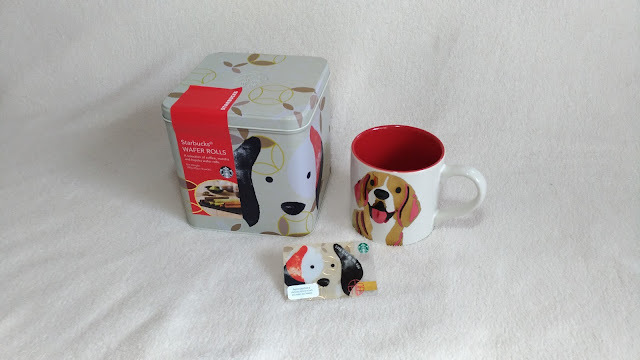 With these specially-designed can, mug, and Starbucks Card, coffee fans and dog lovers alike have something incredible to look forward to. 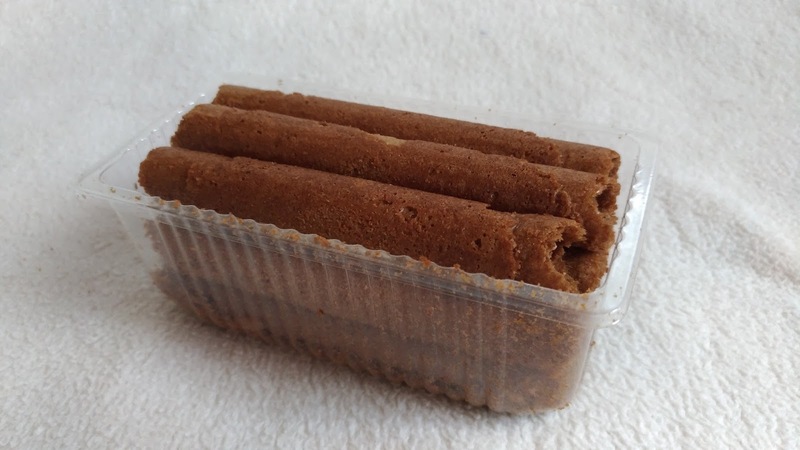 Starbucks Wafer Rolls. Also called barquillos in Spain and love letters all over the world- consist of thin, crisp layer of cookie dough gently rolled into a hollow flute shape. Starbucks' take on this snack is subtly sweet with a delicate crunch. It is further distinguished by rich flavors inspired by their signature beverages. Starbucks Wafter Rolls comes in three unique flavors. COFFEE - Smooth coffee flavor made with a blend of high-quality Arabica beans from Latin America. MATCHA - 100% Japanese matcha infused into each roll for a rich flavor and vibrant color. 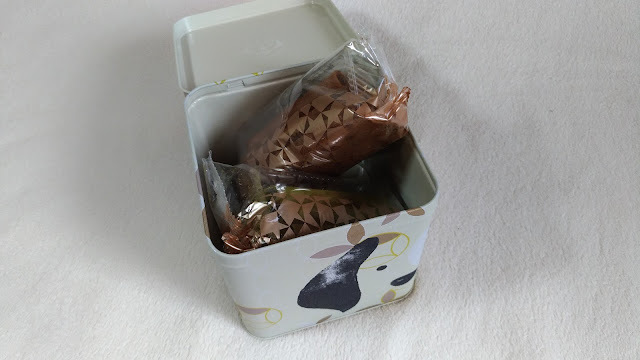 HOJICHA - Patiently slow-roasted hojicha for a complex flavor and mellow aroma. 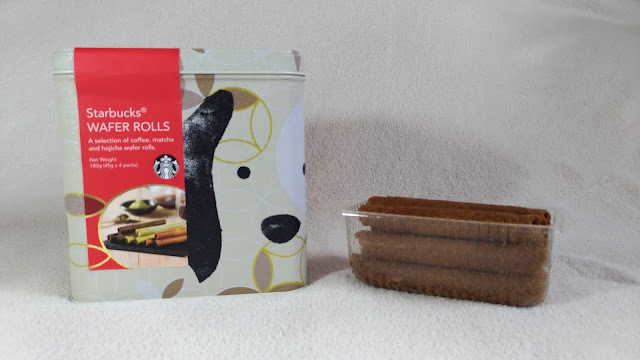 The Starbucks 2018 Year of the Dog tin can houses four packs of Starbucks Wafer Rolls. The can itself is art and is screaming luck and not to mention cuteness at every angle. 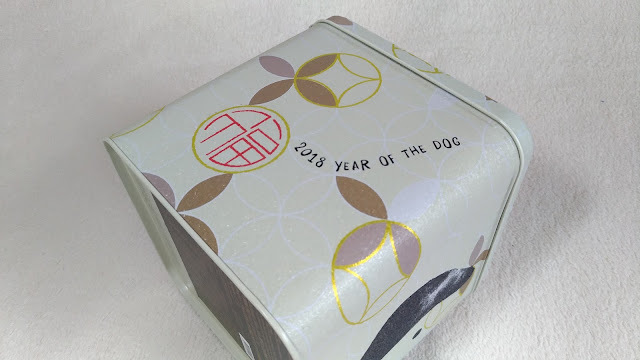 Starbucks 2018 Year of the Dog Mug. 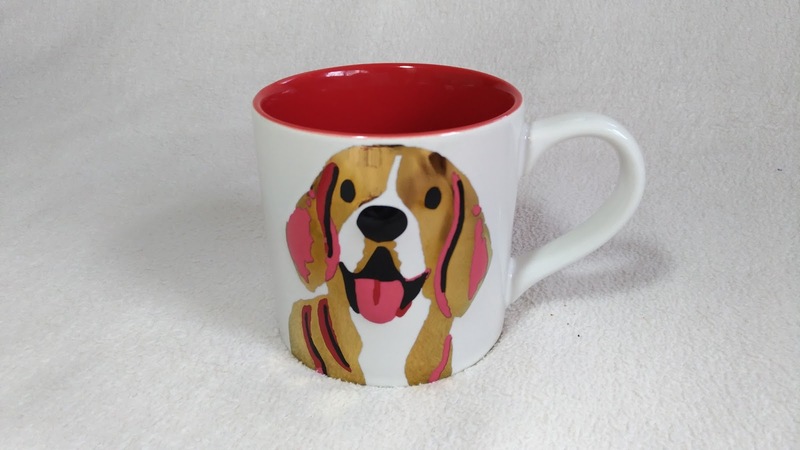 This ceramic mug shows off an embossed image of a dog in reflective gold color. 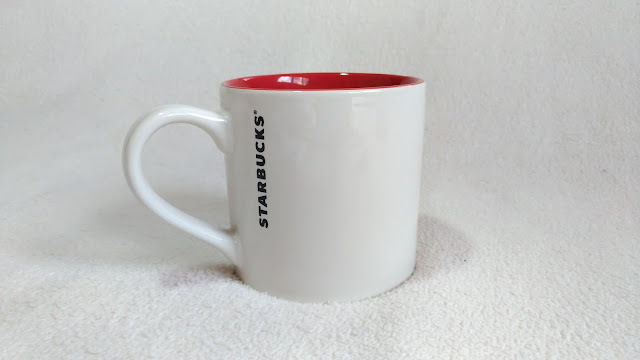 It can hold 14oz of liquid. The Starbucks label is imprinted close to the handle. 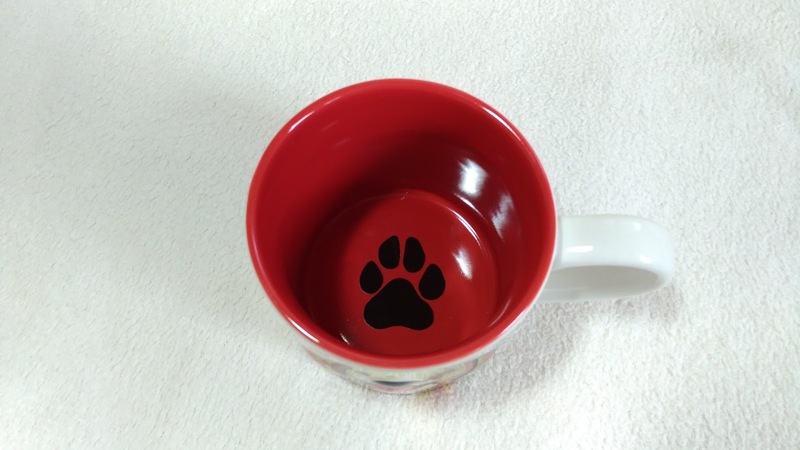 As if the front part of the mug isn't adorable enough, Starbucks imprinted a dog paw on the landing. The red interior just adds a feel of weal to the flatware. 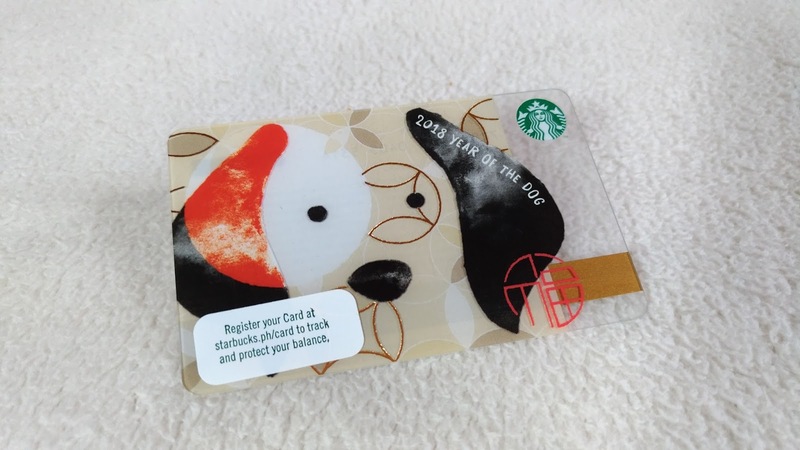 Starbucks 2018 Year of the Dog Card. Needless to say, the Starbucks Card for this time of the year exhibits a dog. It is available for an initial activation amount of Php300. 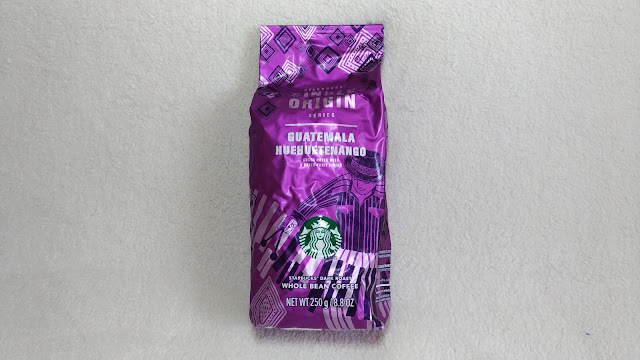 Alongside the Year of the Dog collectibles, Starbucks rolled out Guatemala Huehuetenango. 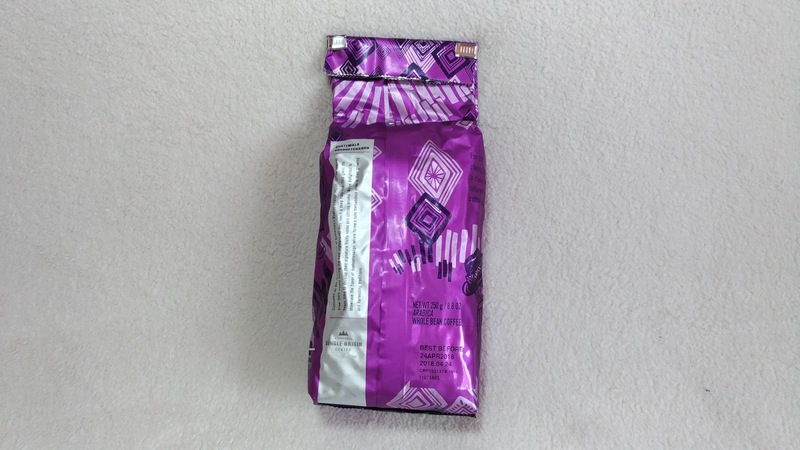 Yielded in the highest and driest growing region in Guatemala, the Huehuetenango single-origin roast brings a balanced cup with delightful dark chocolate notes and dried-fruit finish. This Starbucks Single Origin Coffee comes in two flavors namely Cocoa notes with a dried-fruit finish and Dark chocolate and dried fruit. Grant yourself the Starbucks 2018 Year of the Dog Collectibles and let luck overflow! Try Guatemala Huehuetenango for your enjoyment at home with friends and loved ones. 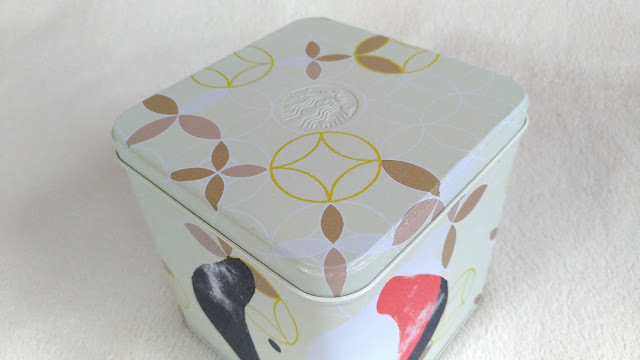 Find else is good at www.starbucks.ph.